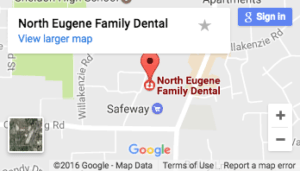 Here at North Eugene Family Dental, we strive to improve your overall health by focusing on your oral health. But the fall is a time of holiday fun, and Halloween is one of the most popular holidays for candy. Most of us know that sugar is not good for your teeth. If you and your family love to celebrate Halloween, there are things you can do to still take care of your health and have fun. Some habits, such as eating candy regularly could damage your teeth. To ensure that you are healthy, we wanted to share the worst Halloween habits for your smile. The first major no no for your teeth, is when you eat to much gummy candy. With Halloween, candy is top of mind for most of our patients, however, it’s important to avoid gummy candy because the gummy candies stick in between your crevices in your teeth and the sugar and acid build up which eventually can cause cavities. This month, try avoiding drinking soda drinks, they are extremely bad for your teeth and overall health. One soda can have up to 11 teaspoons of sugar in one serving the main reason soda and colas are so bad for you is because it contains phosphorus and citric acids which eat away and tear into the teeth. Ice cubes may be a refreshing break for your mouth but they are very bad for your teeth. It’s bad to chew on ice because it can damage your teeth especially if you have fillings. Instead pick a sugarless gum, your teeth will be happier and so will you dentist visits. Dr Kirchmeier, the best family dentist Eugene, OR has to offer, suggests that you avoid sugary foods this time of year. But he knows how much fun Halloween can be, and it is just not the same without candy. Pick candies that are better for your teeth, and make sure to brush your teeth more often.